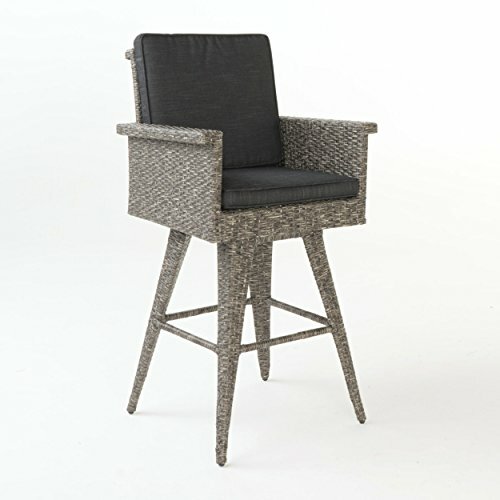 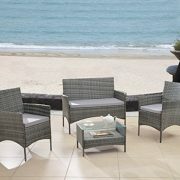 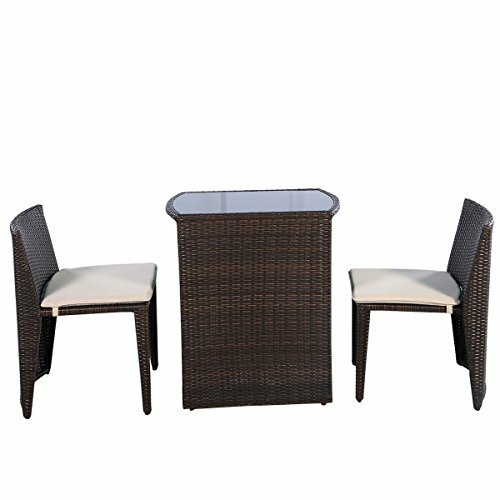 These outdoor bar chairs are ideal for any patio. 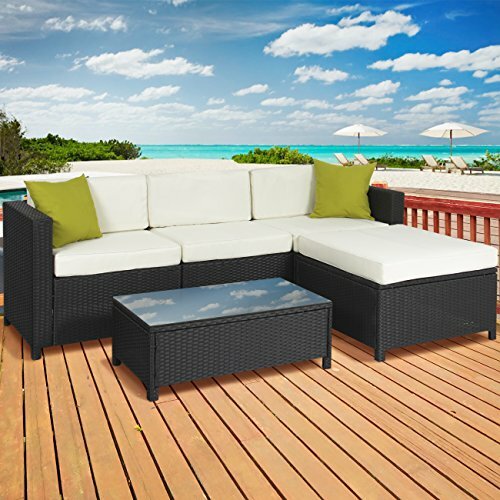 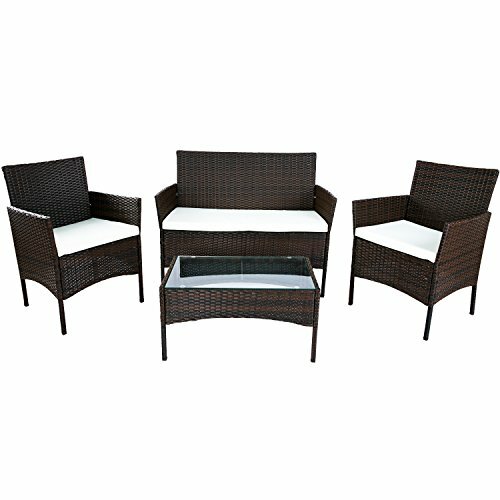 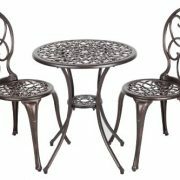 Complete with two cushions to provide that much extra comfort while seated outside, these chairs are sure to become a staple of your patio. 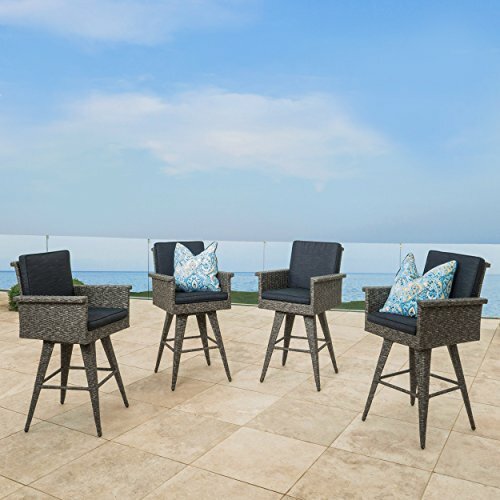 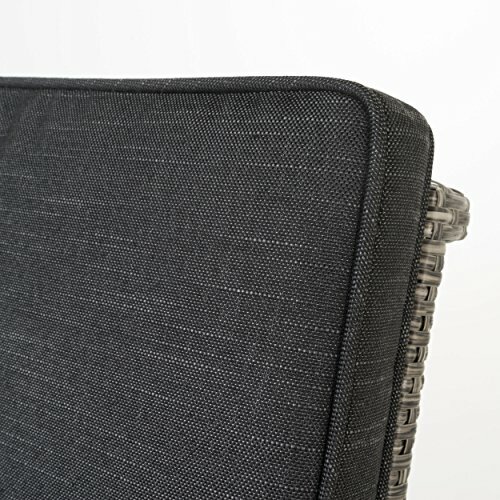 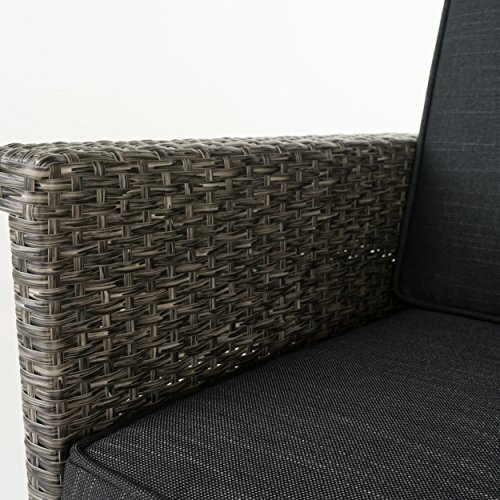 Made with wicker & an iron frame, these chairs will not only hold up against the elements, but will last you for years to come.